If a person has property and affairs that need to be managed – but that person is no longer mentally capable of managing their own affairs – then it may be necessary for someone else to be appointed to carry out this function on their behalf. If a valid Enduring or Lasting Power of Attorney (LPA) has not been made then it is likely that there will need to be an application made to the Court of Protection. This court can appoint one or more persons (known as a Deputy) to look after the affairs of the person otherwise unable to do so for themselves (called ‘the Patient’). In addition to simply managing the financial affairs of the patient during their lifetime, the court can direct that a Will be drawn up for the Patient so that their affairs, on death, are also managed in a sensible and thoughtful way. The process is much more expensive than arranging an LPA and more time consuming both in its setup and subsequent operation. The scope given to the Deputy is limited and changes in circumstances will require further applications to the court. In addition, the level of supervision is far greater than for Attorneys operating under an EPA or LPA and accounts must be submitted to the court on a regular (usually annual) basis. However, the court does appoint a Visitor to come out and see the Patient from time to time, and is also available to assist with additional directions and orders should the Deputy need this during the life of the Patient. Sometimes circumstances mean that such an application is necessary and (if that arises) you will want to know that the application is being handled by people who are familiar with the process and can apply it to your particular situation. We consider it important that if you find yourself in the position of taking part in an application to the Court of Protection then you understand how it works and what your responsibilities are at each step along the way. We would expect plain English explanations if we were seeking help – and so this is the service that we do our utmost to provide to you. We will let you have a close estimate of the costs and expenses involved. Although these will (in most cases) eventually be paid from the assets of the Patient you will still want to know what they are so that you can budget for this. Usually, our involvement will end on the making of the first order by the court, unless circumstances change and further guidance is sought. Mark qualified as a solicitor in 1985 and has been a partner since 1990. He is now our senior partner. He has expertise in the preparation of wills, and has considerable experience in the administration of estates, deeds of family arrangement and related inheritance tax issues. He can provide advice where there is no will, and also where a will becomes contested. He regularly advises upon the creation and tailoring of Lasting Powers of Attorney, and in relation to Court of Protection applications where the person concerned no longer has the ability to manage their own affairs. Mark advises in all aspects of conveyancing (both commercial and residential), including development and with commercial landlord & tenant transactions. 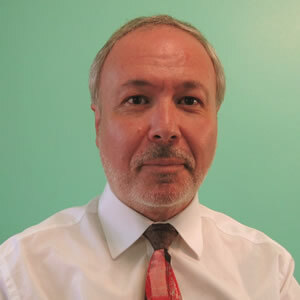 He has experience of dealing with contested issues before the First-tier Tribunal of the Property Chamber, and in relation to boundary and rights disputes concerning property and ownership claims – including those by adverse possession. He also regularly assists small businesses in the practical resolution of employment issues. Frances joined the firm in 2000, completed her training with TC Smith and qualified as a solicitor in 2002. She became a partner in August 2014. Her interests are in all aspects of commercial conveyancing, including residential developments. She also has considerable experience in assisting with residential conveyancing. Her family are actively involved with farming, and she has a keen interest in agricultural matters – heading up the firm’s agricultural section with assistance from John Marshall. In 2014 Frances qualified as a Fellow of the Agricultural Law Association, and this has enhanced her expertise in all areas of rural practice – including agricultural holdings, farm sales and purchases, estate planning & taxation, town & country planning and the common agricultural policy. 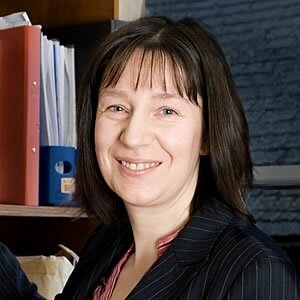 Frances also advises as to the preparation of lasting powers of attorney and wills – and the administration of estates.